The Red litter puppies at 8 weeks of age are pictured above. They were born on December 9th, 2008. 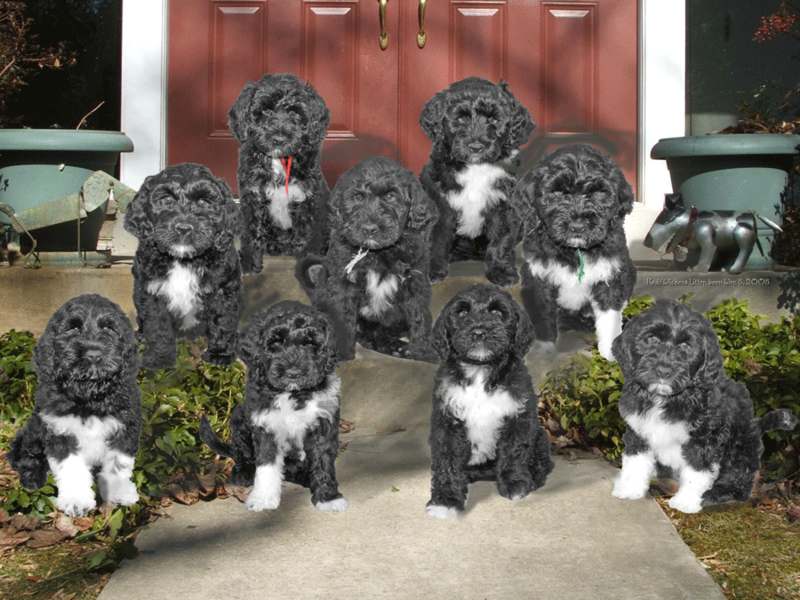 The nine beautiful and healthy puppies went to their new homes in February. All the puppies have lovely temperaments. Six of the nine were independently evaluated and deemed show prospects. The new owners describe their puppies as "fearless". This litter should certainly promote Dickens as an up and coming stud. Because I was so pleased with what my little Red girl produced, she will be bred a second time this year. This time she will be matched up with CH Watermark Toby's Black Jack, a wonderful old boy who will be turning 11 this year.